By Carl Slaughter: Dean Wesley Smith is back. Well, Dean has always been here, cranking out stories faster than we can read them. But after 20 years, he is bringing back Pulphouse. CARL SLAUGHTER: What was the original vision for “Pulphouse“? 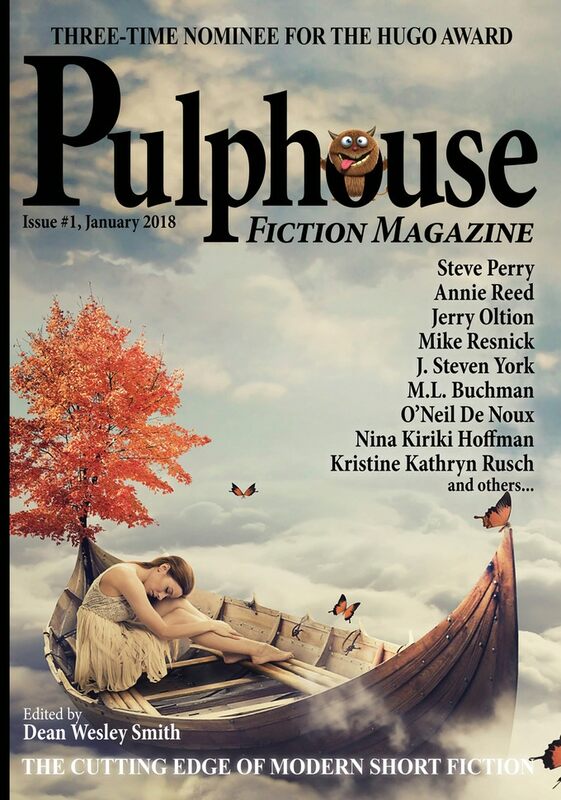 DEAN WESLEY SMITH: Pulphouse started off in 1987 as Pulphouse: The Hardback Magazine, edited by Kris [Kristine Kathryn Rusch]. 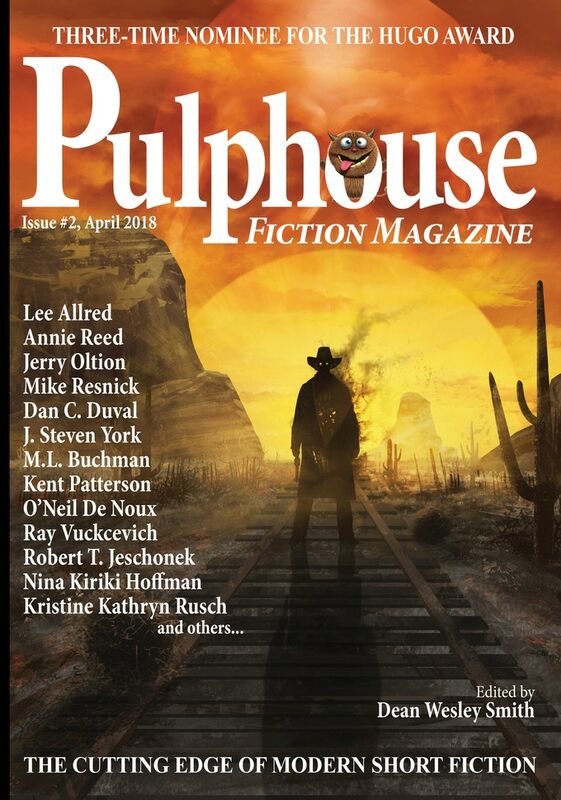 We did the full run of twelve issues and then I started Pulphouse: The Fiction Magazine. The vision for both was to publish short stories and fiction that would be high quality, multi-genre, and different. We were often called “A Dangerous Magazine” but in the Fiction Magazine incarnation I went to more twisted and fun. CS: How long did it run and what level of readership did it have? DWS: It ran for 19 issues plus an issue zero, so twenty total. I think it lasted about four years and got three Hugo nominations along the way. It was always just under the 10,000 circulation number needed to be a full pro magazine in those days by Locus standards. Pulphouse, the business, ended up doing 287 different titles in nine years of life. CS: How did it evolve and what impact did it have? DWS: It started as an idea to do a weekly fiction magazine. That quickly in 1992 became clear that wasn’t possible for a ton of reasons. It would be possible now, in this new world, but we are not going there. It always had schedule problems and for two issues Jonathan Bond, a young turk writer edited it to try to get a younger look on the thing. And Damon Knight was a special guest editor on one issue. For the next twenty years I had people tell me how much they loved Pulphouse, so I guess it had an impact. I was too close to it so couldn’t judge. CS: Why did it shut down? DWS: Two major reasons. Money was the first. Pulphouse Publishing Inc. was behind in money right from the start and even though the Fiction Magazine was profitable, it was too hard to keep things going on my own there at the end. The second reason was that in 1992 I went back to writing full-time and the writing just took more and more of my attention, so we shut down the company in 1996 and paid back all the debts with writing. I went on to write over a hundred novels for traditional publishers before turning completely to indie through WMG Publishing. 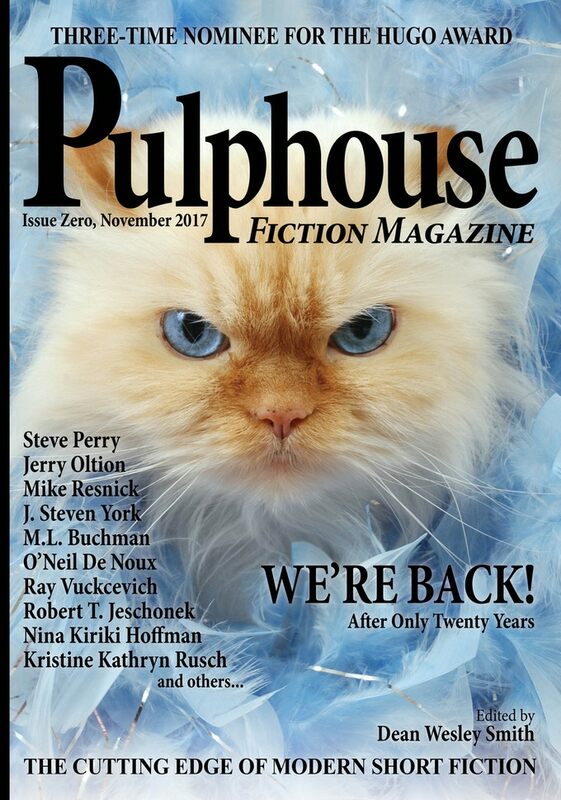 One thing we are doing with the new incarnation is that if you had a subscription to Pulphouse: A Fiction Magazine when we shut down all those years ago, just let us know and we will credit you with a subscription to the new magazine. CS: Why bring it back after 2 decades? DWS: Honestly, because it was fun and it had attitude. And as a co-executive editor on Fiction River, I kept seeing stories I would say, “This would be perfect for Pulphouse.” So now that WMG Publishing is stable and Fiction River has been going now for over five years, we decided to bring Pulphouse back, let me go at it again and have fun with attitude. Plus with the technology of this new world, it is simple compared to the old technology we were dealing with in 1992. CS: What’s the new vision? CS: What will it contribute to speculative literature that’s not already on the market? DSW: I hope it allows readers to find writers they haven’t found yet. 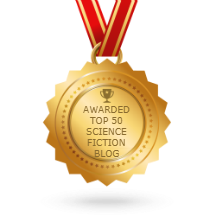 Speculative fiction these days has become very, very small and contained and so many top writers and stories are going unnoticed in the indie world by the speculative fiction world. So I hope to introduce some of those writers inside the field. The magazine will be very focused on helping promote the writers in its pages, including free ads for their books and lots of links as well as features on the website. Extremely author friendly if I buy your story. CS: What’s the business model? DWS: Four issues a year in electronic and paper edition, with an active web site with fiction on the web site. Over 70,000 words of fiction. No reviews, no real articles. Just a focus on fiction and fun. The magazine is owned by WMG Publishing Inc. and Allyson Longueira is the publisher. Jonathan Frase is the managing editor and website person. CS: What’s the editorial strategy? What genres and subgenres will be included and not included? What percentage of new versus reprint? Open submissions? DWS: Every genre and sub genre welcome if it has the “Pulphouse” feel, meaning twisted in one way or another. Or very, very high quality. So totally inclusive of all genres. Over twenty stories every issue. It is going to be great fun. It will have about one-third brand new fiction, two-thirds reprints. Understand that a lot of the reprints will be from the old magazines since many people weren’t even born when those great stories were published. Also a lot of great stories from authors collections that were only published indie first. That sort of reprint. It will be rare when a reader recognizes a story. Very rare I would bet. New authors every issue. No open submissions at this point. I am finding more than enough new and experienced authors in the indie world and through other methods. But if we do open, it will be announced on the website. But we want to get this off the ground first. CS: What authors can we expect to see? DWS: I’ll attach a few of the covers to show you some of the names. But experienced names like Kristine Kathryn Rusch, Mike Resnick, Steve Perry, Nina Kiriki Hoffman, Jerry Oltion, and so on, to really wonderful writers like Ray Vukcevich, Robert T. Jeshonick, Annie Reed, and many, many others. By Carl Slaughter: Dean Wesley Smith is a busy guy. He publishes, he writes, he teaches workshops, he operates a collectables bookstore chain. He writes 80,000 words a month for his own magazine. And he’s training for a marathon. CARL SLAUGHTER: Why launch your own magazine? DEAN WESLEY SMITH: I suppose it just seemed like a good idea at the time. In reality, as I was getting started firing back up my writing after making a many-year transition from media and ghost writing, I needed some sort of really crazy goal. I tend to work well with crazy goals. So one day I was glancing through my digest collection (I have pretty much every digest in science fiction, mystery, and western put out from 1943 until 2000 or so) and I noticed the Mike Shayne Mystery Magazine. Then I picked up a copy of the Zane Gray Western Magazine. For some reason, the thought hit me that wouldn’t it be fun to fill entire issues of magazines as some of the pulp writers did at times with pen names in the 1940s and 1950s. And from there the crazy idea started. My magazine would be the same size as the monthly Asimov’s magazine, only I would write it all. A full new novel, four or five short stories, a novel serial, and other stuff, all written by me. My wife, Kristine Kathryn Rusch was the one who came up with the name Smith’s Monthly. Now, 36 issues later, I haven’t missed a month. 36 novels, about 140 short stories, and numbers of nonfiction projects as well, including a golf-humor book. CS: Are your stories all speculative? If not, what other genres? DWS: My roots are in speculative fiction, but I write across the board. That comes from my ghosting days for New York publishers. They would call me and ask me to write a book because some famous author was sick and I needed to write that. I figured I could write anything with a little study, but I must admit Cozy mysteries are tough and I might have to slash my wrists if forced to write Regency Romance. But in Smith’s Monthly most stories (except the mystery stories) have an element of speculative fiction or Twilight Zone elements to them. DWS: I have a bunch of series. Poker Boy is a goofy superhero series that has only had one novel but about thirty-five short stories. I also have a time travel western series called Thunder Mountain with a dozen books in it and a space opera series called The Seeders Universe series. Plus there is a mystery detective series where a bunch of retired Las Vegas detectives play poker and solve really twisted cold cases. That’s called the Cold Poker Gang series. Plus there are other series. CS: I see a lot of cowboy covers. Are these traditional westerns? Alternate history? Steampunk? DWS: The western cowboy covers are all the Thunder Mountain novels. Alternate history time travel, set mostly in the west. Great fun to write, very complex since I have come up with a mathematical way of making it all work. CS: I also see a lot of mystery. Are you active in the mystery genre? Do you sell to mystery markets? Won any mystery awards? DWS: I have had one story published in Ellery Queen, won no awards in mystery. But I have written a bunch of thrillers. One thriller that I never really mailed out was the only book I had rights to coming into indie publishing besides my first sf novel out of Warner from 1989. So I put that one thriller in and also serialized my first novel in Smith’s Monthly, without one word changed from the Warner Questar edition. The mystery covers are for the Cold Poker Gang novels. CS: I also see a lot of what looks like erotica/romance? How much relationship versus how much speculative? How do you integrate one into the other? DWS: Nope, don’t do any erotica. I did that back in the day, meaning way back in the 1980s, writing letters for Penthouse for money. No interest in writing that anymore. But most of my novels have a light romantic element to it. CS: I also see a lot of ghost stories. What, no zombies, no vampires, no superheroes? DWS: The ghosts are an offshoot of my Poker Boy series. Basically they are ghosts that are recruited after they die to join a team to help people. I have all the rest of that in my Poker Boy series. Almost every issue leads off with a Poker Boy story. He and his team, which includes Front Desk Girl, Stan, the God of Poker, and Lady Luck herself save the world regularly from all sorts of fun things. CS: How do you build a series around poker? DWS: I wrote a thriller called Dead Money about a major professional poker player setting up a team and solving the death of his father. Never written another book in that series, but the hero of that thriller shows up at times in my Cold Poker Gang novels. Not really around poker, just a way for a bunch of retired detectives to get together to work on cold cases. CS: Are all the stories written exclusively for the magazine or are there also reprints? 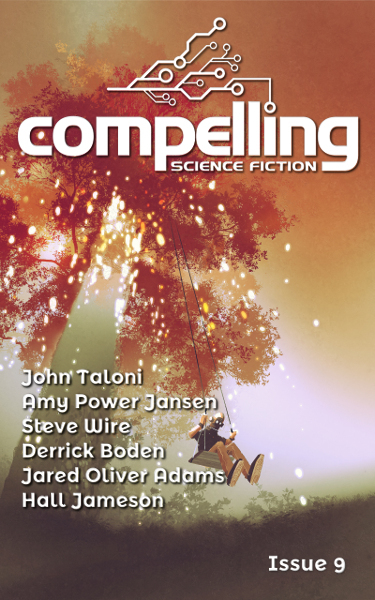 DWS: At first I wrote exclusively for the magazine, then decided that stories that had been in DAW and Baen anthologies over the years should be brought forward. Readers didn’t see most of those stories twenty and thirty years ago. Now I have used Smith’s Monthly to gather most of my main published fiction together, including stories published originally in F&SF. I do not put in any of the horror stories I published way back in the 1980s and early 1990s. I was nominated twice, I think, for a Stoker Award, but don’t feel those stories fit in Smith’s Monthly, so they are vanishing into the dust of time. All novels are written originally except for the two I mentioned. I don’t have any others I own rights to out of the hundred plus novels I wrote for traditional publishers over the years. CS: Are you still selling to speculative markets or are all your speculative stories going into your magazine? DWS: At the moment everything is just going into my own magazine except for two or three a year that are for invite anthologies. I keep threatening to start sending out other stories. But I have my own magazine, so can’t figure out why I should. CS: How many stories go into each issue? DWS: Four or five short stories. If the novel is very short, down around 45,000 words, I will put in six short stories. Also a serial novel or serial nonfiction book most issues as well. CS: How many total words? DWS: Every issue ranges from 65,000 words to 80,000 words. A few have been larger. About the same size as an Analog Magazine. CS: Any plans to accept submissions? DWS: Nope, just my stuff. I read slush for a lot of years with Pulphouse and with Star Trek: Strange New Worlds anthology series. Never again will I read slush. 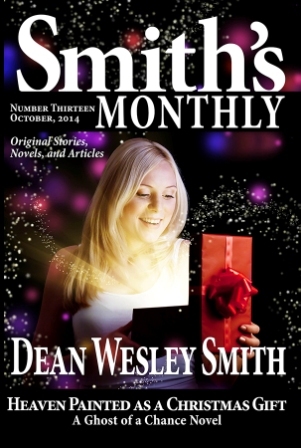 DWS: I sort of look at every issue of Smith’s Monthly as a stand-alone collection of my work. So I have 36 of them out now. No repeats of any stories from any issue. So they are all available in paper and in electronic format from any sales place in the world. And they sell regularly. Not many copies per issue, but when you add up sales from around the world and 36 issues, it’s a pretty good amount of money every month. Surprises me at times, actually. Also, we do subscriptions to the magazine in either paper or electronic format. And I have a Patreon page that supports my blog and every person there gets a copy of Smith’s Monthly as well when it comes out. Then two months after the issue comes out, WMG Publishing Inc. publishes the novel from the issue as a stand-alone novel. Those do pretty well. And I will be putting short story collections together starting this next year with stories from the magazine. So lots and lots of cash streams from the magazine. CS: What’s the marketing strategy? DWS: I really don’t have one to speak of. I get it out everywhere and then we publish the novel. CS: How do you crank out this kind of volume while still working on Fiction River and other fiction projects, plus workshops? DWS: For three years now on my blog, as I have been doing this magazine, I have been doing a daily blog (haven’t missed a day) about the writing. Scares people because I basically do other things all day long and only write about three hours a day late at night. It doesn’t feel like I am doing much volume at all, but people find it encouraging. And I’m not a fast writer. I do about a thousand words an hour. It just adds up. CS: Besides Fiction River and Smith’s Magazine, what other fiction projects are you involved in? DWS; I am the CFO of WMG Publishing Inc, so that takes time and we do a great deal of things there. WMG has over 600 titles now. I do the workshops for free for them because I love teaching and learning. Also, we have a new magazine project planned that we will announce in the middle of this coming year. I will be the editor. Great fun. One thing that takes a large amount of my time is WMG has two brick-and-mortar stores here on the coast. Collectable stores and one has a bookstore inside the collectable store. Comics, a few hundred thousand comics, plus toys, games, you name it. All my hobby and passion. I don’t run the stores, but I am around them all the time. And both stories have a major eBay store. All kinds of great stuff on the eBay stores. For example, I just found something very neat we are putting on one store. It is the program book from the 4th World SF Convention in LA. 1946-47. It has 40 signatures in it of members who attended that convention. In other words, 40 signatures of first fandom fans. Amazing. CS: Speaking of workshops, what’s going on on the workshop front? DWS: I am doing ten, online, six-week workshops every month. They rotate through a bunch choices every other month or so. I love doing them still. The moment I start getting bored, we’ll shut them down. Full schedule is at www.wmgpublishingworkshops.com. We also do four workshops every year here on the Oregon Coast for professional writers only. Those have writers coming in from all over the world and are fantastic fun. That schedule is up under Coast Workshops at the top of my web site. CS: You’re approaching 70. Any plans to retire? DWS: I suppose I am approaching 70, but actually only 66. Stuns me when I say that number and I have no idea what retirement even might be. So nope, just doing my magazine and playing in collectables. CS: What’s on the horizon for Dean Wesley Smith? DWS: Besides continuing to write, do my own magazine, edit a new magazine project this coming year, play and work around my two collectable stores, and help keep WMG Publishing on track, I’ve set a running goal. That’s right, running. In the last number of years I have dropped about 70 pounds from my heaviest weight. When my friend book-collector Bill Trojan died suddenly at Worldcon in Reno, I sort of woke up. He was only a couple years older than me, but heavier. So I still have about fifteen pounds to go, but I hope to run a half-marathon (13 plus miles) every month of 2017 until November when I will run a marathon. I figure that if I can do 36 issues in 36 months of my own magazine, I can run a measly 26 miles. So that’s what is in the future for me. Thanks for having me. (1) C. E. Murphy is “home from Octocon” with several good stories. (2) A six-part Frankenstein horror series starring Game of Thrones actor Sean Bean has been acquired by A&E for broadcast in the U.S., according to Variety. But does Sean Bean survive the first season? (3) The other day I ran a news item about Dean Wesley Smith, and in his latest post, “Writing workshops: caveat emptor”, Brad R. Torgersen says how much he learned at the Rusch/Smith workshop he attended. One of the best things my wife and I ever did, was pony up some cash for my first writing workshop. Having endured years and years of rejection letters, by 2008 I was hoping to bust out of a serious slump. My wife asked the question, “What else can we do?” I’d never done workshops before. They were too expensive, and they required too much time away from work and home — especially the king of all science fiction and fantasy workshops, Clarion. But it was precisely because I’d never done a workshop before, that my wife and I determined to get me to one. She asked me which workshop looked best, for a “get your feet wet” event, and I chose the weekend-long Kris and Dean Show being put on in Lincoln City, Oregon, at the eclectic Anchor Inn — by Kristine Kathryn Rusch and Dean Wesley Smith. 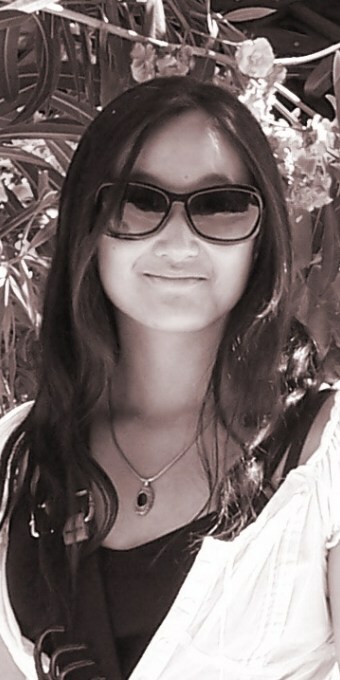 This was June of 2009. It turned out to be something of a watershed event, for me as an aspiring professional. In two delightfully exhausting days, Kris and Dean ran the table: from matters of craft, to matters of publishing, as well as self-promotion, book-keeping, personal writerly habits, known pitfalls, and of course myths and conventional (false) wisdoms. I walked away feeling like I’d learned more in one weekend than in all the many hundreds of hours I’d spent reading “How to write books” books. Torgersen, noting that most people need to be cost-conscious, offers practical advice about how a beginning writer can decide what workshops will meet his or her needs. (4) Where better to make revelations about Gotham than at this weekend’s New York Comic Con? Paul Reubens, the actor best known for his iconic role as Pee-Wee Herman, will play The Penguin/Oswald Cobblepot’s father in “Gotham” season two, star Robin Lord Taylor revealed during the show’s panel at New York Comic Con. (5) Another George R.R. Martin work has been optioned for television – “Cinemax Orders SKIN TRADE Script”. I am very excited to announce the Cinemax (HBO’s sister company) has optioned the television rights to “The Skin Trade,” the offbeat “werewolf noir” novella I penned back in the late 80s. The deal is closed, and Cinemax has ordered the pilot script. This being Hollywood, of course, you never know where things will end… but if they like the script, we’ll shoot a pilot, and if they like that, hey, who knows, maybe we’ll get a series on the air. Which would be very cool. I have always thought there was a TV series (or maybe a feature film) in Willie Flambeaux and Randi Wade…. “The Skin Trade” has had a storied, and complex, publishing history. It was originally written for NIGHT VISION 5, the fifth volume of the prestigious annual horror anthology from the late lamented small press Dark Harvest, where it appeared together with original contributions from Dan Simmons and Stephen King, some stellar company. The novella was very well received, and went on to win that year’s World Fantasy Award. More recently, the novella was purchased by Mike the Pike Productions, who played a big part in taking the project to Cinemax. To handle the adaptation, script the pilot, and produce the show (should we get a greenlight), we’ve tapped a terrific talented young scriptwriter named KALINDA VAZQUEZ, whose previous credits include work on PRISON BREAK and ONCE UPON A TIME…. (6) Europa SF profiles Science Fiction Studies Special issue On Italian Science Fiction. Here is the direct link — Science Fiction Studies #126 – Volume 42, Part 2 – July 2015, SPECIAL ISSUE ON ITALIAN SCIENCE FICTION, Edited by Umberto Rossi, Arielle Saiber, and Salvatore Proietti. The pattern, they say, is frustrating and familiar: The what-should-be-done discussion pits anti-gun groups against the National Rifle Association and its allies, who are adamantly opposed to any new restrictions on weapons…..
Tomlinson has two novels out with a third on the way, and his short fiction has appeared in anthologies. Sifting through Slate’s mailroom recently, we found a new edition of Neil Gaiman’s first novel, Neverwhere, with three words printed beneath the title on its glossy cover: “author’s preferred text.” It’s not the first time those words have graced a Gaiman cover—you’ll also find them on the 10th-anniversary edition of American Gods. So we wondered: What does this mean? What is an “author’s preferred text?” And what makes one text more preferred than other texts? It turns out that the “author’s preferred text” is the director’s cut of the literary world, only far less ubiquitous. The definition is, in part, pretty self-explanatory: It’s the version of a particular work that the writer prefers, editorial interference be damned. The phenomenon is not limited to Gaiman, though he may be its most frequent practioner. Stephen King released a mammoth new edition of The Stand, subtitled Complete and Uncut, in 1990, in which he not only restored gargantuan passages that had been cut in the editing process, but moved the story’s time period ahead by a decade…. My editor at Avon Books, Jennifer Hershey, was a terrific and perceptive editor; our major disagreement was the jokes. She didn’t like them and was convinced that American readers would not be able to cope with jokes in a book that wasn’t meant solely to be funny. (9) And Neil Gaiman will be appearing on stage, unencumbered by editors, at the Richard and Karen Carpenter Center in Long Beach on November 14. Details here. The bestselling and award-winning author—whose notable works include the comic book series The Sandman as well as novels Coraline, Stardust, American Gods, The Graveyard Book, and extends to screenplays, song lyrics, poetry, journalism and multimedia—appears for one inspiring evening! (10) Efforts to restore an old B-29 to flightworthiness continue to pay off. They now have all four engines running. (11) Honest Trailers – Aladdin has been created to commemorate the movie’s 25th anniversary. 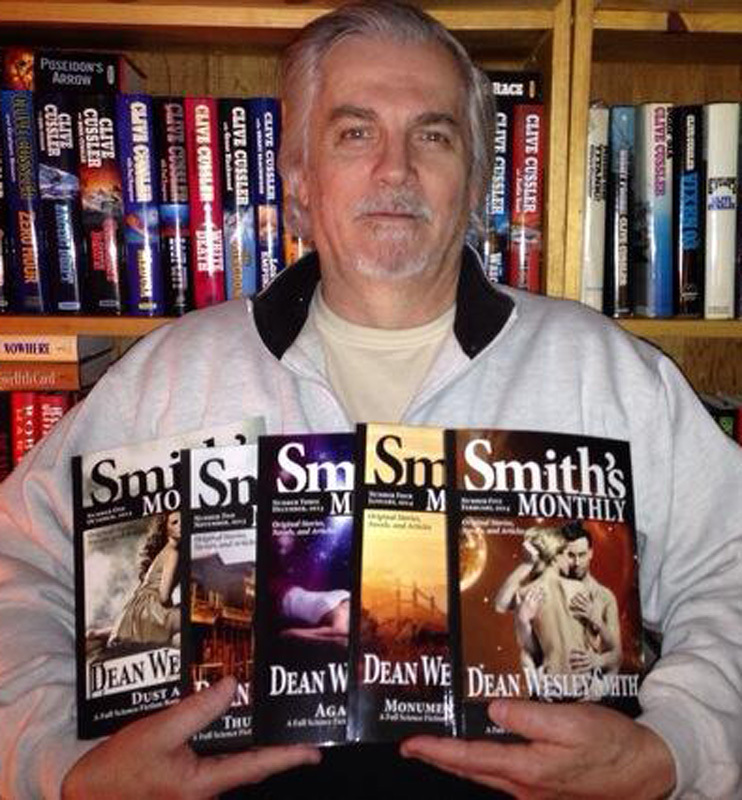 Dean Wesley Smith is celebrating his second anniversary writing a new novel for every issue of Smith’s Monthly, a magazine that consists only of his own fiction, over 60,000 words per issue. Occasionally, back in the old pulp days, one writer would fill an issue of one magazine or another, often with stories written under pen names. And a few authors, Lester Dent to name one, wrote a novel a month for years. But no one had tried filling a monthly magazine before every month. Yes, I am that crazy. Smith blogs daily, too, and in today’s post offers a unique metric for indie author sales success. Plus that number often has nothing to do with business and real accounting. So one more time into some basic business numbers. Even if you think you might know this, read it again. Trust me, it will help. So my time cost is $2,000.00. I have set costs of proofing and cover art of $300.00. And I have other costs of $200. I want to make a 10% annual rate of return on my investment. By any standards in any business, that’s a damn fine rate of return. So I need to make $250.00 PER YEAR to get that rate of return. Or about $21.00 per month in profit from sales.